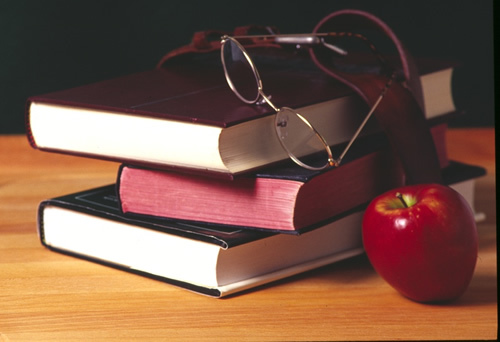 The middle school English curriculum includes the study of a wide range of literature. Novels, short stories, poetry and drama are studied as well as non-fiction, including speeches, biographies, autobiographies, speeches, editorials, editorial cartoons, advertisements newspapers, and magazines. Through the integration of reading, writing, speaking and listening, the language arts program encourages critical thinking and effective communication as well as creativity. Students study grammar, spelling and vocabulary. The skills and competencies for each grade are determined by state standards for reading, writing, speaking and listening. The middle school reading program focuses on reading strategies through the reading of a variety of tests to promote grade level fluency and comprehension. Strategies include predicting, visualizing, questioning, rereading, summarizing and relating personal prior knowledge to themes, issues and perspectives. The core resource is the McDougal-Littell Literature and Reading series. Students have access to this text on-line. This book is supplemented by a variety of novels, short stories, plays, poems and works of non-fiction. There are a number of interactive technology pieces to aid students in skill acquisition for both reading and writing. All students participate in the READING COUNTS program. In order to help students read year round, students also participate in a summer reading program which consists of some required and some free choice books.